I finally found the right challenge to play in and even more important - had time to use my brand new Magda Polakow stamps. In case you don't know her I can highly recommend you check her out - those stamps are just the sweetest. I like how playful they are. 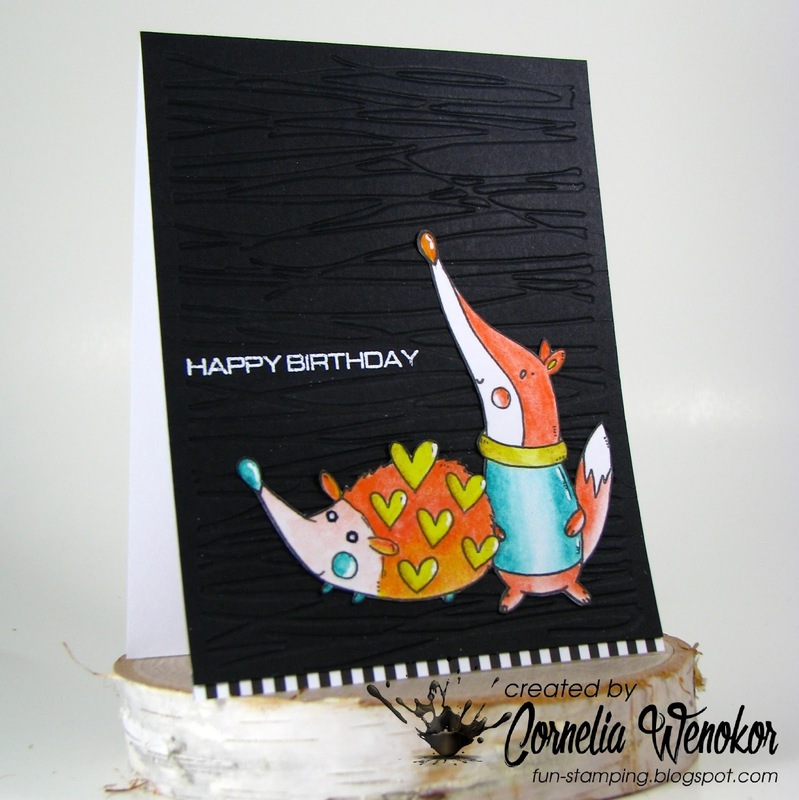 They are red rubber stamps and stamp like a dream! So I stamped, colored with Inktense and fussy cut them. Dry embossed black card stock, glued the hedgehog and fox on it and added the sentiment, as well as a strip of PP at the bottom. Totally crushing over your images, my friend; they are cuties in every way! Going for a wander to check out the source you linked. Delighted you shared these cuties in the JUGS gallery! 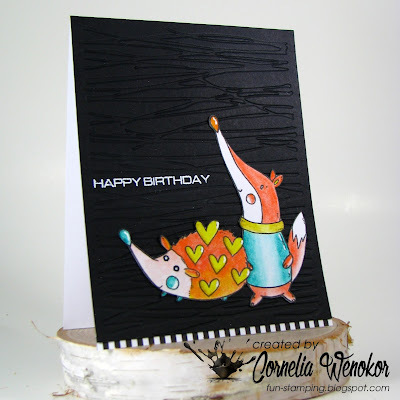 Love your card and those images are so cute and perfectly coloured. Will go check them out. Also love the background you used, you need to share the name with me, I think I need it lol. What a super fun way of using the colors! Thanks for joining in at JUGS! 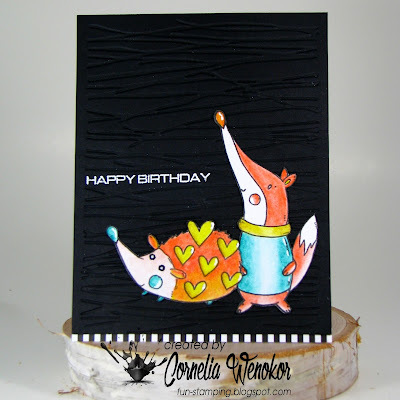 These critters are way to cute...your coloring and embellishing has made them so adorable that I can't get this silly smile off my face. Thank you so much for sharing your project and creativity at 613 Cornelia! You are right about these images being fun - and putting them on the black background to show off those great color choices was inspired! 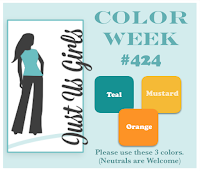 Wow Cornelia I love how you have gone with this weeks colour challenge at Just Us Girls. Love the background. Such cool images and so colourful! Thanks for sharing with us this week.